I am forwarding you my first newsletter for 2017 that includes a 9-part documentary confirming the conclusions in my PhD thesis. 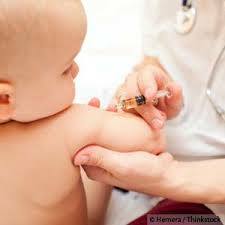 This research shows that many vaccines have not been proven to be safe or effective and that the combined schedule of vaccines, that is now mandated in Australian social welfare policies for all children up to 20 years of age (with the removal of religious and conscientious exemptions), has never been tested for safety. Scientists are relying on the claim that “the correlation of vaccines with increased chronic illness, cancer and autism in the population does not equal causation”. This is confirming the fact that governments have never investigated this link with properly designed placebo controlled studies and therefore do not have the scientific evidence to claim that the National Immunisation Program is ‘safe and effective’. I have previously informed you that it is a criminal offence to be promoting false and misleading information on the university website that can harm human health. Yet you have remained silent to my requests for evidence for your opinions on immunisation. Heather Yeatman has been the head of the UOW School of Public Health since 2006 and she is also the president of the Public Health Association of Australia (PHAA). This is a potential conflict of interest in her opinions on vaccination because the PHAA supports the lobbying strategies of the Stop the Australian Vaccination Network (SAVN) – a group that is suppressing scientific debate with false and misleading information. SAVN is an offshoot of the Australian Skeptics Inc groups and many subscribers of these lobby groups write derogatory blogs about academics and other professionals that are debating the medical risks of vaccines (now labelled as ‘anti-vaccination material). Please see the attached article by my supervisor Brian Martin exposing the SAVN attacks on my research in the Australian mainstream media and also my latest newsletter that includes a link to free viewing of the latest 9-part documentary of the risks of vaccines. This letter is an open letter so your silence and willingness to keep your names on the UOW website without a transparent debate is being noted by the global community. I have also copied the Vice-Chancellor, Paul Wellings into this email so he is aware that the opinion of immunisation that is being promoted on the UOW website is not based on scientific evidence. The public wants a transparent debate on this topic and universities play a role in ensuring that the information they are promoting is provided with integrity. I look forward to hearing from you and I will publish your response for public debate. A scholarly article outlining the difficulties when a University sustains an unusual level of criticism and how Privacy Laws limit the ability to openly respond. 3. Newsletter 146: University of Wollongong, Australia, Promoting False Claims about Vaccines. In May 2016 you stated in a newspaper article to the Australian public that the link between vaccines and autism has been “discredited” (Kylar Loussikian, The Australian, 11 May 2016). This statement is false and the former head of the US National Institutes of Health (NIH) and member of the Institute of Medicine (IOM), Dr. Bernadine Healy, stated in 2008 that “this question has not been answered“. On the 15 February 2017 Robert F Kennedy, along with other lawyers, scientists and parent/researchers, provided evidence that of the hundreds of studies that have investigated the link between vaccines and autism, 240 of them have found a link between neurodevelopmental disorders and vaccines and 81 studies found a link between vaccines and autism. They found zero (0) studies that showed that vaccines containing mercury, in the doses that are still present in children’s vaccines – Infanrix-hexa (Austin et al, 2010), whooping cough vaccines and flu vaccines – to be safe. Whilst government regulators are claiming that mercury in the form of thimerosal has been removed from all vaccines this is not the case. Mercury is still present in the manufacturing process for many vaccines and specifically multi-dose vials of flu vaccines and this is why it was still listed in the Australian Immunisation Handbook (ed. 9) until 2013. Whilst the CDC has used 19 selected studies to claim that vaccines do not cause autism, all of these studies were found to be scientifically flawed and many of these studies (funded and designed by CDC researchers) even described links between vaccines and neurological problems. Further, they were epidemiological studies and did not represent the diverse body of evidence – clinical, biological, animal and ecological evidence – that is needed to prove that there is no causal link between vaccines and autism or vaccines and serious neurological and autoimmune damage in children or adults. The issue of vaccine safety is not just related to the issue of thimerosal in vaccines. To prove safety the government regulator is required to test the combined schedule of vaccines (the combination of chemical ingredients in all vaccines injected into children) against the health of unvaccinated children before it recommends this program of vaccines. This study has never been done by any government. And we have observed chronic illness skyrocket 5-fold in children since 1990 – directly correlating with the increased use of vaccines from this time onwards. The government’s claim of “coincidence” is not evidence-based medicine and this explanation is not acceptable to parents. 43% of US and Australian children now have a chronic illness many of which are debilitating and life threatening. Please read this press release carefully and realise that we need a commission to investigate why so many young people worldwide are being harmed by the HPV vaccine. This investigation must be done at the highest level. It is about time to put together a commission to study the safety and scientific integrity of the programs for mass HPV vaccination of American adolescents. Remember, this is only one type of vaccine. What if the questions surrounding HPV vaccine safety, efficacy and need apply to other vaccines as well? As a medical consumer, you must decide where the danger to the health and well-being lies. Is the real danger in open, honest investigation of vaccine safety, efficacy and need; or is it in the unquestioning acceptance of an ever-expanding list of CDC recommended vaccines? President Trump, on the issue of organizing an independent Vaccine Safety/Scientific Integrity Committee, the SaneVax team and HPV vaccine survivors around the world stand beside you. The link is here: http://sanevax.org/trumps-proposed-vaccine-commission-bias-danger/ Please share and circulate widely.